Well we’re a bit behind on the news here, but hey I was on vacation so give me a break. A trailer for the Dawnguard, the first expansion DLC for Skyrim, debuted online last week and we’re here to bring you anywhere from your first through dozenth look at the latest from Bethesda. Mounted Combat Coming to Skyrim! Well, this was both expected and unexpected all at once. 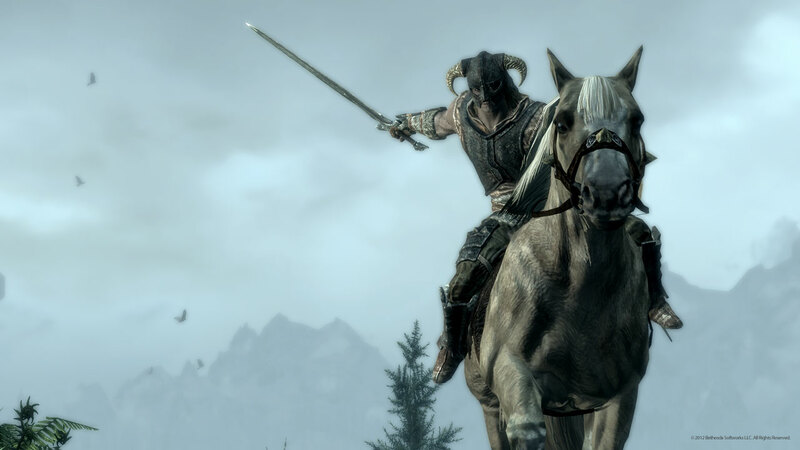 Bethesda just posted that mounted combat will be coming to Skyrim with patch 1.6. For more info on what’s coming to the patch you can check out the patch info below or head straight over to the Bethesda Blog post. Hello to you all! I was in the middle of typing up a “hey, we’re back!” edition of Week(ish) In News, when suddenly I see an announcement pop up. The Elder Scrolls Online, yes the long fabled Elder Scrolls MMO has been announced! The plan is for the game to have three factions competing in open-world warfare over the province of Cyrodiil and the Emperor’s throne. It is also heavily implied by Game Informer that we will be journeying from “Elsweyr to Skyrim and everywhere in between.” Looks like the Khajiit homeland will finally be getting some screen time. Update: Check out our article here for a sneak peak at The Elder Scrolls Online with its first teaser trailer.